The OED informs me that coryza comes from the Greek κόρυζα, meaning ‘nasal mucous’. In colloquial English we should say that she had a runny nose. …to which symptoms in the year 1827, violent headache acceded, so that she was at length obliged to apply for medical aid. This headache appeared sporadically and generally began between the eyes, spreading over the whole head. The attack was accompanied by a great discharge of tears, and sometimes even nausea and vomiting; the features were forcibly distorted, the jaws firmly closed, and the eyes and ears so very sensible, that she could not bear the least light or any noise. On occasions the unfortunate patient became delirious and ran about ‘in a state of distraction’, or clutched her head in her hands. The pain was, according to her statement, like the strokes of a hammer, or as if something was perforating the skull, and the fits generally returned about twelve times in twenty-four hours; sometimes the headache continued uninterruptedly for several days. The runny nose continued throughout the illness, although the doctor noted that sometimes the mucus was ‘very fetid and mixed with blood’. Presumably he suspected some sort of malady involving the nasal passages – possibly an abscess or even a foreign body – but he sure as hell had no idea what was coming next. Some medicines were employed, but no regular plan of treatment was followed, and it was not before a twelvemonth’s suffering that this singular affection terminated, after the expulsion of a worm from the nose, which moved with rapidity, and when placed in water, remained alive for several days. Ugh! But a worm? Not quite. It was afterwards killed by being put in alcohol, and sent to M. Maréchal, who reported the case to the Society. He found the animal to be more than two inches in length, and one line in breadth; it had two antennae, was of yellowish colour, flat, and consisted of sixty-four rings, on each of which were two legs. M. Maréchal subsequently transmitted the insect to MM. 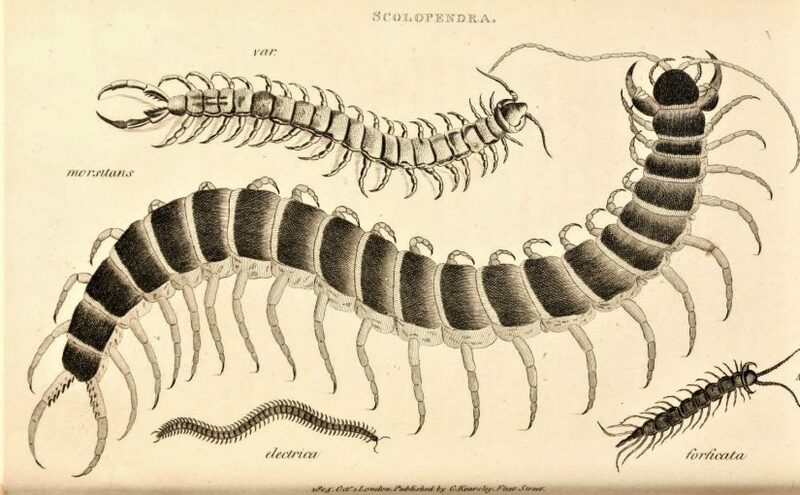 Hollandre and Roussel, who ascertained that it was a Scolopendra electrica. 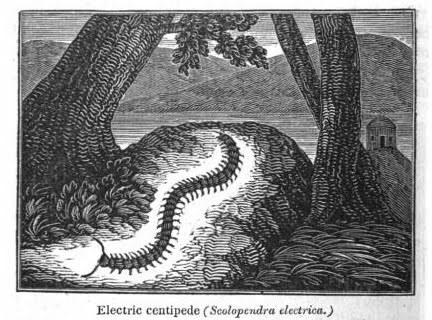 Scolopendra electrica (now known as Geophilus electricus) is the ‘electric centipede’ in Latin, thanks to its striking ability to glow in the dark. This bioluminescent arthropod is widely found across Britain and continental Europe, although this is – as far as I am aware – the only reported case of its having inhabited the human sinuses. Since it seems profoundly unlikely that a creature of this description would have survived in such an uncongenial habitat for as long as a year, the veracity of this isolated report is extremely dubious.